It was love at first sight. 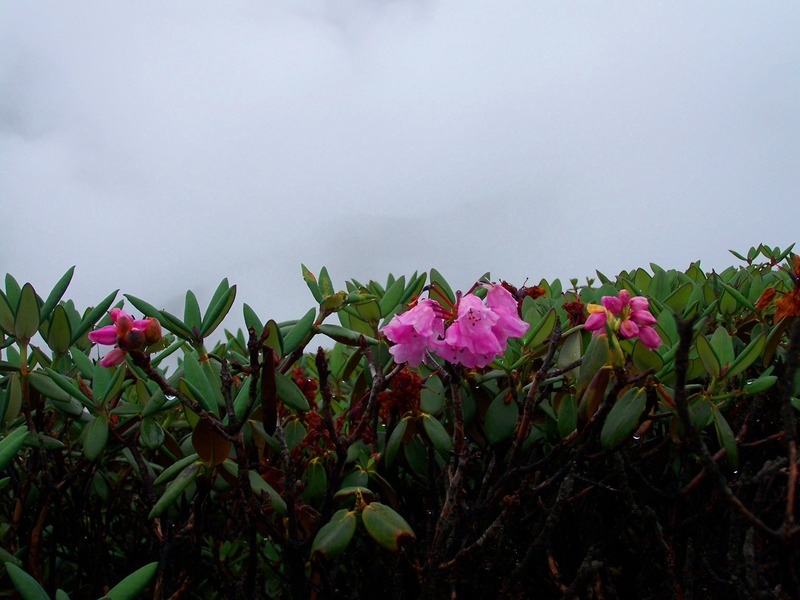 Although it wasn’t the first time I had been to the mountains, yet when I first set foot in this small mountainous state in the Eastern Himalayan region of India, I was completely enamored, smitten by its beauty and simplicity. It was as if I’ve set foot in paradise. It was the first time I had fallen in love with a place. I still carry with me, in my heart and recesses of my mind, the memories of this mesmerizing place. 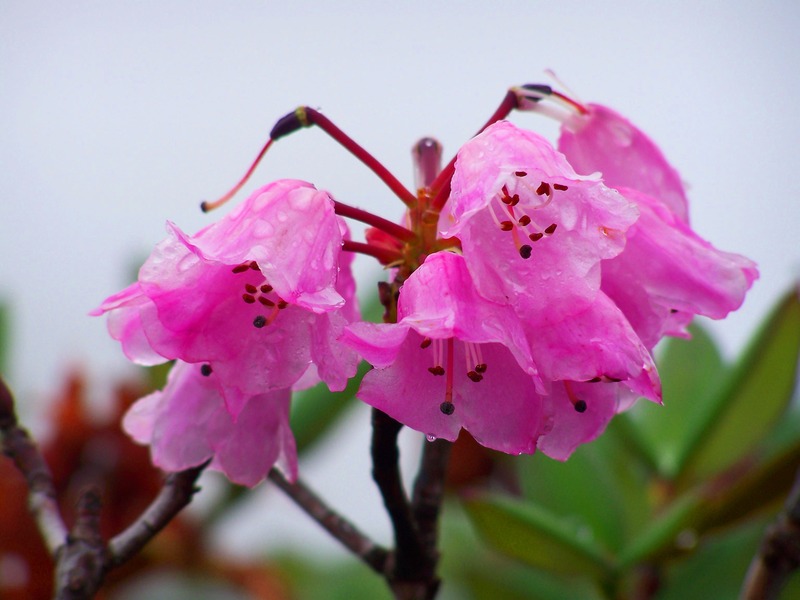 It was in the month of April year 2000, when I first visited Sikkim. Me and my friends had caught the train to New Jalpaiguri in West Bengal and proceeded on to Siliguri from where we took the state Transport Bus to Gangtok. It had already begun to be quite hot and humid in Siliguri and the packed transport bus wasn’t quite what you’d call an enjoyable experience. But as we climbed up from Rangpo, the sight, smell and feel of the land began to change making the journey more enjoyable. The second time round, a couple of years later, we decided to take a Tata Sumo which was much more pleasant and offered a better view of the scenery as we ascended the winding road along the Teesta river taking us to Gangtok, the capital town of Sikkim. 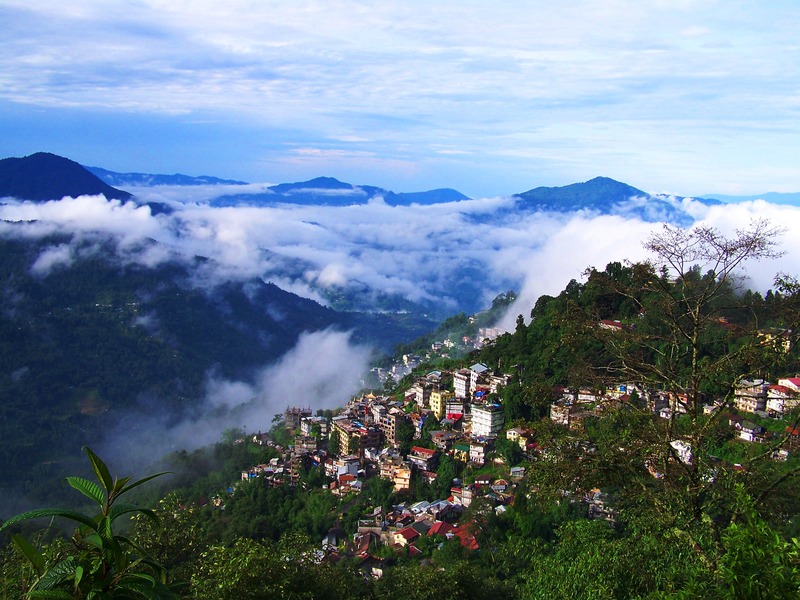 Gangtok which more or less translates as the ‘side of hill top’ is a scenic little town at an altitude of approximately 1500 meters above sea level, built on the slopes atop the hills of the beautiful Siwalik ranges of the Eastern Himalayas. 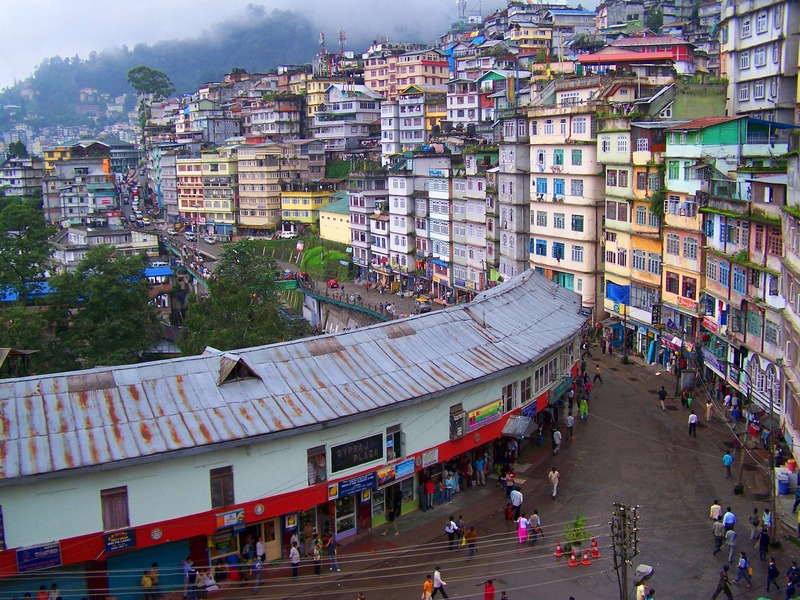 The town has a market called the ‘Lall Bazaar’ which is the most populated area in the otherwise sparsely populated land of Sikkim. This is where we were dropped off, at a parking lot. Emerging from the parking space we came out onto the MG road which offered a wonderful window shopping experience and delectable tastes of delightful Chinese and Tibetan cuisines in the number of restaurants lined up all along the road, starting from the budget eating joints to the more high-end restaurants. Climbing higher we came across the Palace of the Chogyal Kings which ruled Sikkim before it became a British protectorate and subsequently an Indian State. 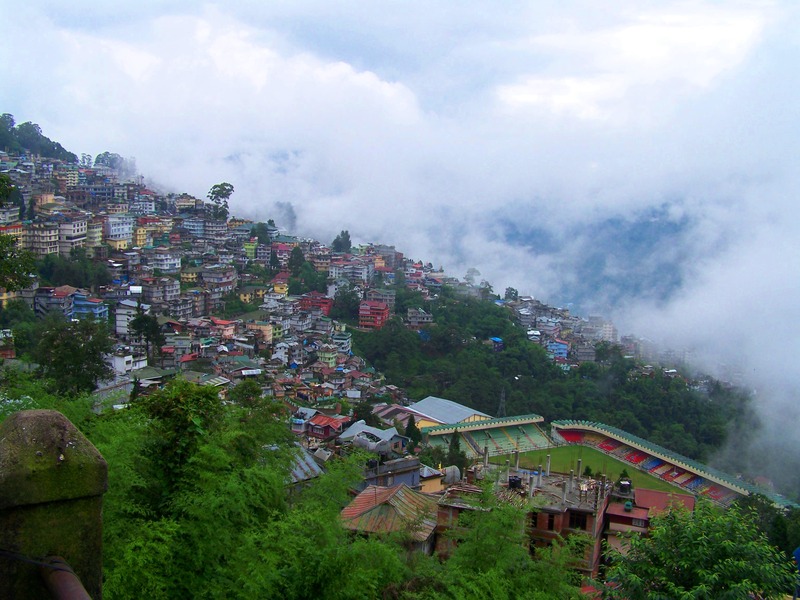 Gangtok is believed to have been a small hamlet before the Chogyal kings shifted their capital to it from Yuksom in the late 19th Century. It had become a major Buddhist pilgrimage site after the ‘Enchey monastery’ which sits atop the town was built in the mid 19th century. Subsequently after the Chogyal kings allied with the British due to rampant invasions from the neighbouring lands, Sikkim became a British protectorate and Gangtok developed into a major trade frontier for the British East India trading with Tibet and China via the Nathula pass, located in the eastern border of the State with Tibet autonomous region of China. This was the famed Old Silk route which connected Lhasa in Tibet with Bengal. The trade route was closed down after the 1962 Sino-Indian war and opened up only recently in 2006. After the British left, Sikkim was given a special protectorate status under the Indian suzerainty and finally merged in 1975, becoming the 22nd State of the Indian Union. Gangtok. 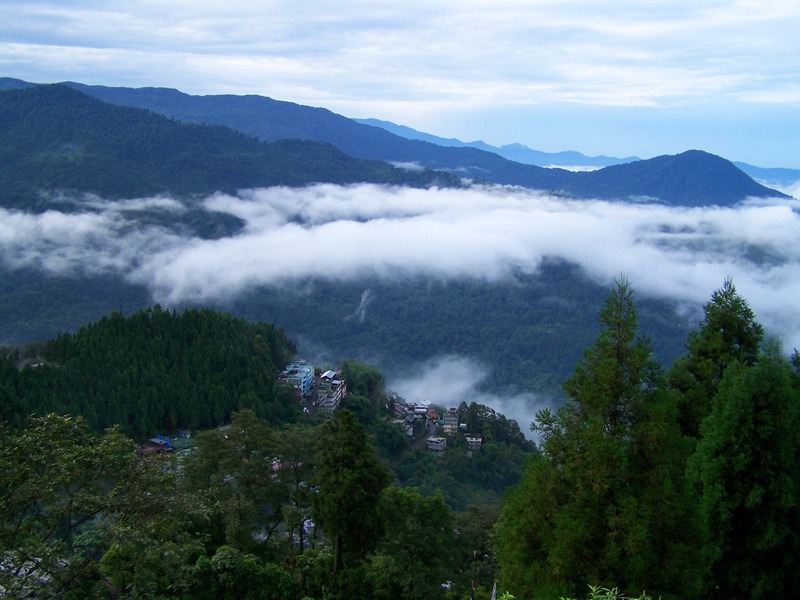 Nestled at the top of the hills of the Siwalik ranges of the Eastern Himalayas. 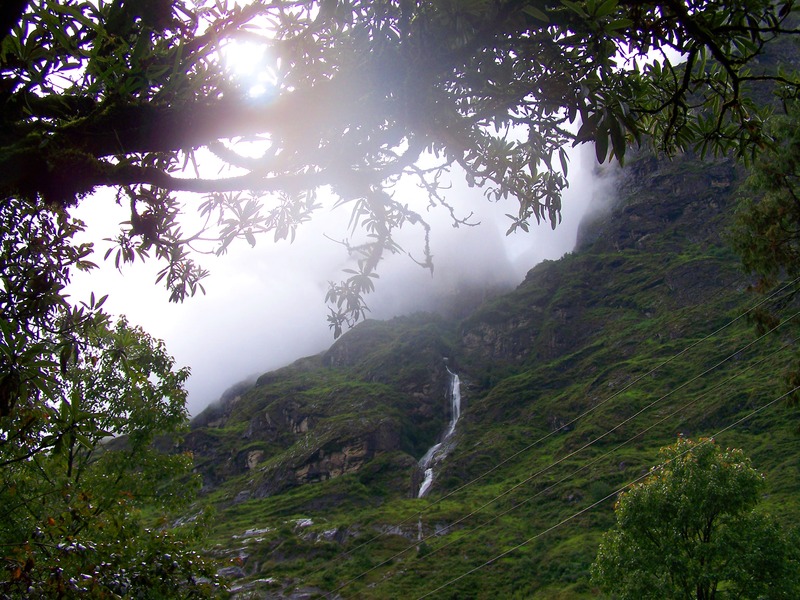 Gangtok has all the charm of a crowded hill station. 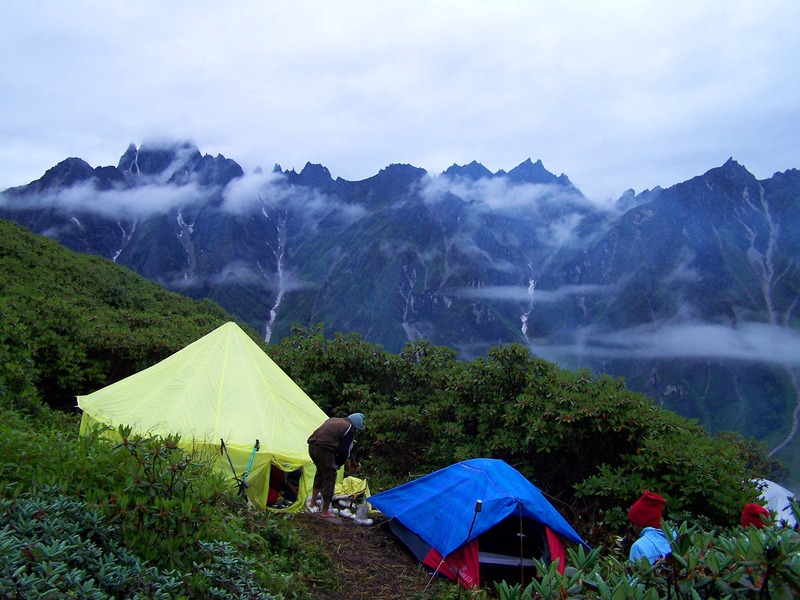 But for those wanting a taste of the higher altitudes, North Sikkim offers the best locations, a paradise for the mountain lovers. Heading north of Gangtok, about 65 kilometers of breathtaking road journey lies Mangan, the district headquarters of North Sikkim. Here you would find small resorts and hotels good for a short spell of stay. 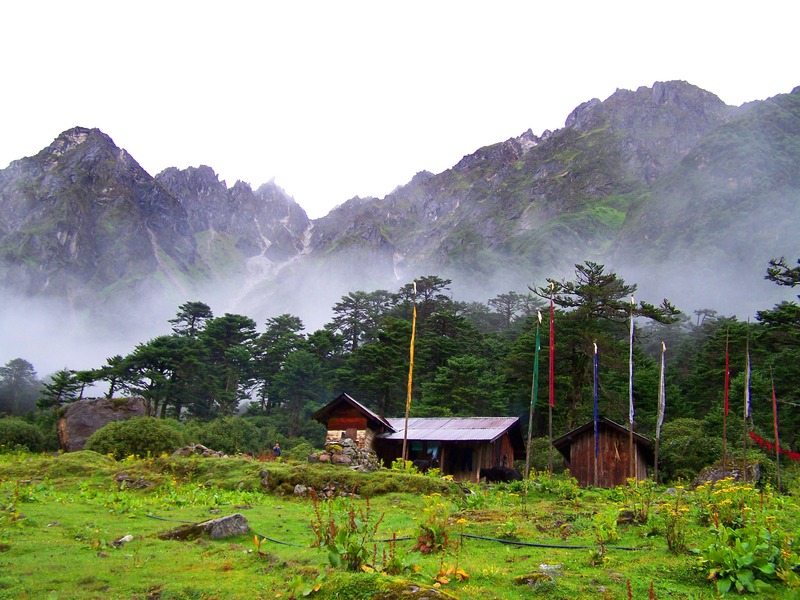 Further north, about 40 kilometers from Mangan (95 kms from Gangtok) lies a settlement called Chungthang. 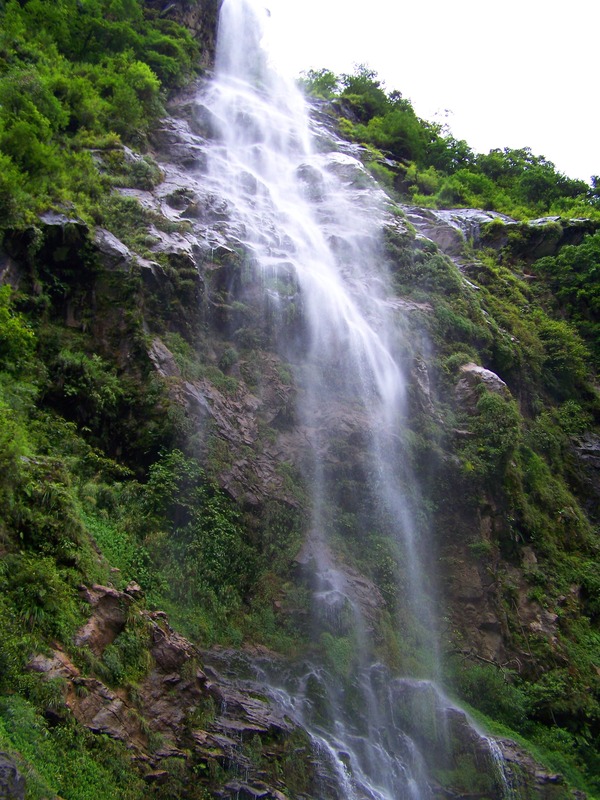 It is located at an altitude of 1800 metres above sea level and situated at the confluence of the two rivers Lachen Chu and lachung Chu which feeds the Teesta river. From Chumthang, the North Sikkim highway bifurcate into two, one heading towards Lanchen and the other towards Lachung from where the two rivers flow. Here we halted a night before pushing on for the higher alpine region. Typically a hill settlement, the place has some houses with few small shops. Here you can find small vendors where one can taste the heavenly ‘Chang’, a local brew made from millet. The fermented millet is served in a big wooden cup that looks like a wooden liquor barrel with a pipe made of small bamboo poked into it. Hot water is poured over the fermented millet and kept for a few minutes before you start sucking on the bamboo pipe to taste the lovely Chang. Normally, once the first round gets over, hot water is poured again and kept while the person wanders off to do others things and returns after a while to go for the second round. For people who have very little to do on a high altitude mountain settlement, it is a very good drink not only to keep you warm but also to while away time. My first trip took me towards the road that bifurcate on the right, heading for Lachung about 30 kilometers from Chunthang (about 125 kms from Gangtok). Lachung, a quaint little settlement at an altitude of 3000 metres, it was initially a trading post now supporting a small village. A short hike atop the hill that nestles the village is the beautiful Lachung Monastry. Paying our obeisance to the deities of the mountains and praying for our safekeeping, we departed after a cup of wonderful butter tea which is basically salted milk laced with butter, a heavenly concoction which keeps you warm and nourished. 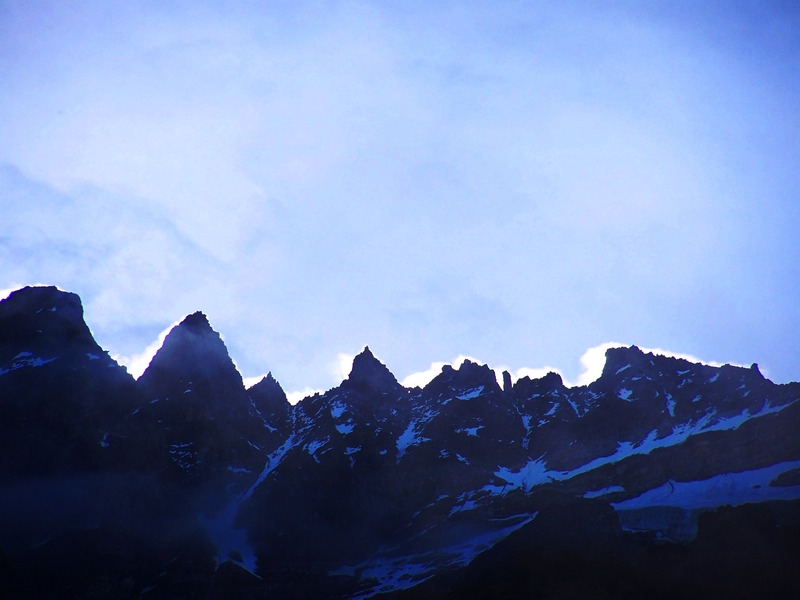 From here onwards we trekked on foot to acclimatise ourselves to the high altitudes, a ritual every mountaineer must follow before setting himself on the higher altitudes. Pushing on foot for about 21 kilometers from Lachung, we came to a hot spring where we had the most heavenly bath ever. Dipping ourselves in the natural hot waters with sips of Old Monk to add to the already blissful experience, we reluctantly pull ourselves out of the divine waters to slog on further into the mountains. Hardly even a kilometer had we set off that we entered into the most beautiful place my eyes ever set upon. My head, a little light after the blissful bath, snapped clear. It was as if I had walked right into a dream. 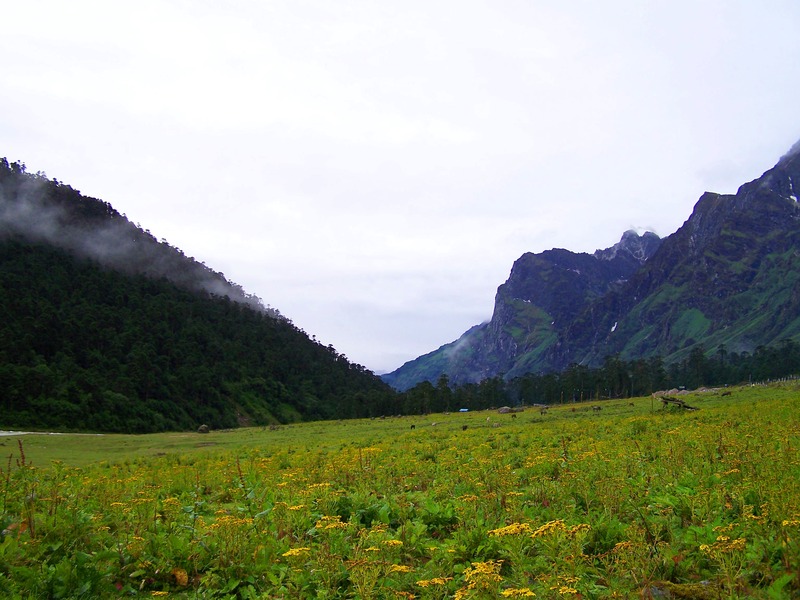 A grazing meadow nestled between the mountains with a river cutting right through and flowing down between the mountains heading towards Lachung. On the other side of the river, a little further ahead was a carpet of Primulas that bathed the meadow in a violet hue. It was a dream and I thought to myself, heaven must be somewhere near. 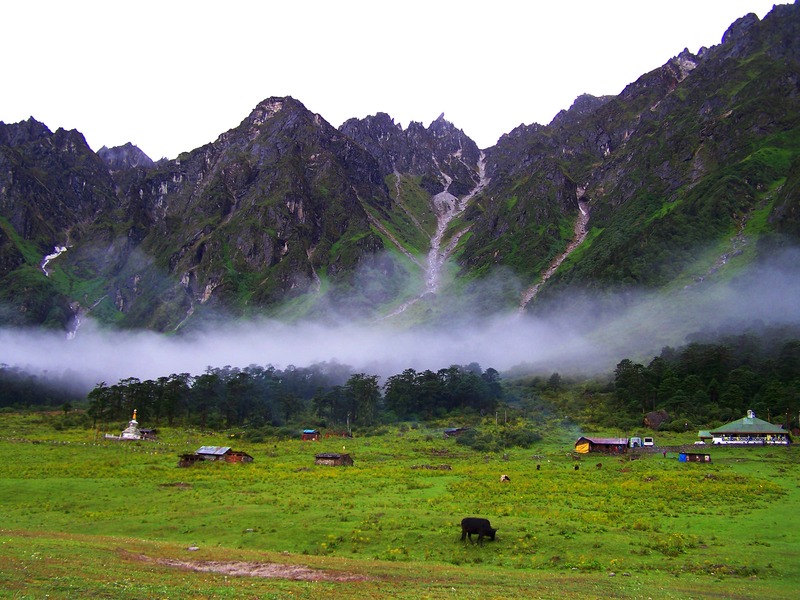 The valley of Yumthang, located 3575 meters (14,000 ft) above sea level. A forest Inspection bungalow was housed on the left of the road while the meadow spreads on the right. It is the most wonderous feeling to wake up at the break of dawn (you can’t sleep late in a place like this) and open your eyes to the beautiful meadow spread around you. It was even more wonderful to camp right in the middle of the meadow, build a campfire and the watch the silhouettes of the mountains while listening to the gurgling of the river flowing nearby. But the most intriguing sight was the small wooden shack standing quite aloof at the base of the mountain where no other signs of life could be seen except for the cattle that loitered around. The hints of smoke seeping out of the tin roof suggested that there were people living in it and yet there were no one to be seen. Old man’s shack in the remote Yumthang Valley. One fine day, me and my friends decided to pay the house a visit after our stock of whisky and rum dried up. There was no one except for a lanky old man, in his seventies I believe, living all by himself, in this valley where no human souls can be seen except the occasionally passing by tourists. He had only himself and his cattle for company, sees no human being for more than six months a year when the roads are choked off by snow during the winters, has no electricity, just his fireplace to keep him warm throughout the year and his ‘Churpi’ (Cheese made out of Yak milk) to see him through the lean seasons. As we approached the house the old man came out of the house sensing our presence and welcomed us with a bright smile. One amongst us was a Nepali and we prodded him to ask for what we were looking for. The old man signalled us to come in. It was a dark brooding room with a hearth on one side and the walls staked up with firewood that would last him a year. Seated around the fire, the old man stretched his sinewy hands towards me, pointing behind me. I turned round to a neatly staked pile of dry firewood from which I handed him some. The old man poked the ashes and added some firewood. In no time a warm fire was kindling throwing flickering shadows across the walls. The old man looked up with a warm smile across his face which immediately thawed the chill in all of us. The grand old man opened up saying that the stuff we seek are nothing less than poison and we are too young to be dying. He then went to tell us how he survives on the milk and the ‘Churpi’ which he makes year round. Inquisitive souls that we were, we asked him about his family and why he lives here all alone. The old man answered matter of fact, without any hint of sadness, that his sons and family members are settled in the town below and that they come to meet him twice a year when the roads open up in the warm seasons, bringing him rations to see him through the year, collects all the Churpi he makes and heads back to sell it in the market. He tends to his cattle some of which were present there but most of it scattered in groups all over the mountains which he goes and checks once in a while. 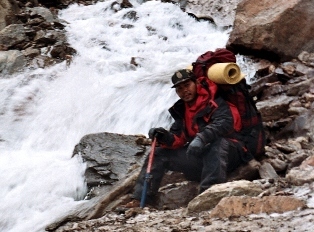 That itself is like our trekking expedition but all by himself. He has no fears except reverence for the almighty, laziness is not in his lexicon, survives mostly on Yak milk, takes no intoxicants at all and has more wisdom than you’d ever imagine. He is more than 70 years old but breezed passed us in the slopes of nearby Brumkhangsei peak while searching for his cattle yonder.The old man is at peace with nature, with his destiny and most of all with himself. For us it was an awakening, a fascinating fact of life we can’t even start to imagine ourselves in. Memoir of an unforgettable trek – II : ‘That bloody rat’. HIGHWAY TO THE HIMALAYAS: ROAD TRIP TO LADAKH (Pt II)- On one of world’s most beautiful places and dangerous roads. Andro, a taste of Manipur.